Beginning of the school year is always very stressful, but many resources are available out there that can help you out in making it a little less stressful. The Mac App Store allows you to download apps on your computer, which can prove to be of great help — if you have the right apps. You may like this too : Best Mac Apps, free mac osx applications, File Management Apps for Mac, Best Free Mac OS X Applications, Mac Utilities, Must Have Mac OS X. So here is a list of 7 amazing apps that will be helpful for students of all ages. It is a great multitasking app that lets you take notes, save web pages etc. It also lets you share your notes with other people. After sharing has been done, the recipients has the ability to edit those notes, but only if you enabled that feature. So if you want to collaborate on school projects and assignments, then this app will prove to be the ultimate app for you. It also boasts a great cloud feature that sends your notes to your iPhone and iPad. You can get Evernote for free from the Mac App Store. Flashcards are a great way of studying for tests and exams, but a waste of paper and a cause of litter, as they usually find their place in dustbins after a semester. So an amazing way to take advantage of flashcards and save the environment is using Smartr. 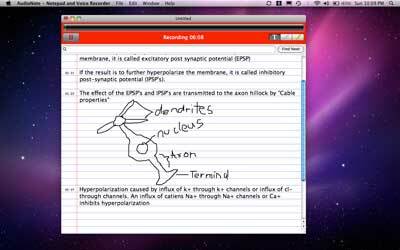 It is a good flashcard substitute that lets you to make virtual text and photo flashcards. It even lets you devide flashcards into categories. Smartr also provides you with tests based on your flashcards, as well as tips for betterment. You can get Smartr for $2.99, with a free option also available. Some students find creating slideshows an irksome task. Slideshows have to be pretty, interesting and at the same time informative. 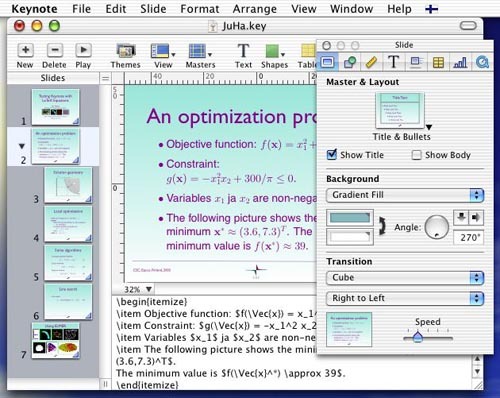 So here Keynote comes to help, as it lets you create beautiful slideshows with ease. You can use awesome themes, quickly access to other iLife apps, and create greate animations. 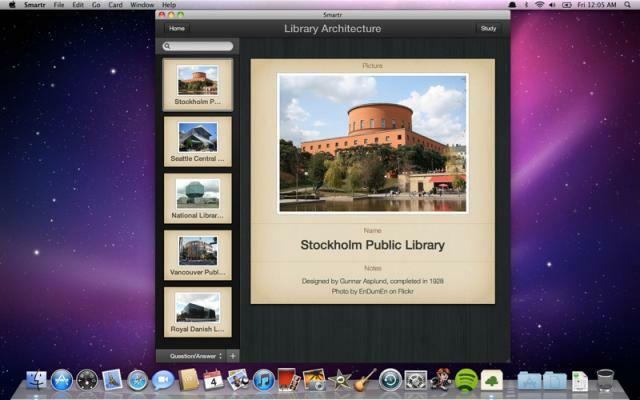 You can also record narrations and manage your slideshow with it. You can get Keynote for $20! Dropbox is a great USB substitute. 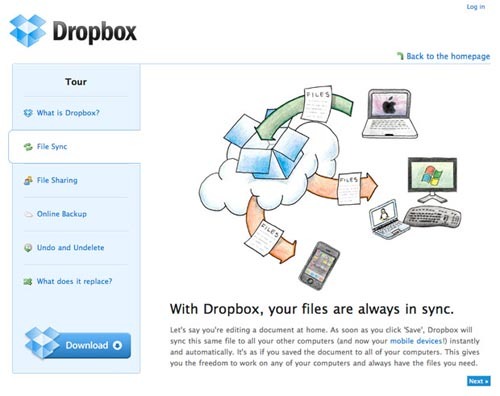 Simply downloading the file onto your online Dropbox account will make it available with a few clicks and an upload. If you don’t want to download a file each time, then you can use Dropbox’s app on Mac. All you have to do is to drag the files into a folder, the file updates your online account every single time a new file is dragged in — all by itself. Dropbox provides you with 2.5 GB memory for free, and you can also get more memory for an extra cost. It is an assignment manager. Its developer is also a student, so he knew what exactly students want out of a school app. This app lets you organize your classes with its elaborate category feature. Moreover, you can also get to know which classes require extra hardwork with the ability to know your GPA. It is an amazing app — only if it is updated on a regular basis. On the whole it is a great $5 school organizer. Want help to manage your homework, assignments, and exams and their deadlines? Then use iHomework! 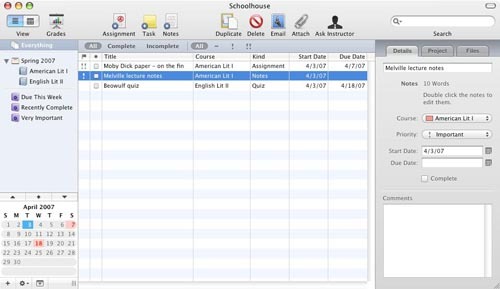 It allows you to enter homework, and other assignments, with their due dates with ease. You also have the ability to enter your partner’s information. All in all, it is a great assignment and project. You can get iHomework for $2.99, along with a free iPhone companion. AudioNote allows you to listen to previous lectures easily. You can record the lectures with it, however almost all lectures have deviations and interruptions, but still you don’t have to worry as this amazing app also lets you have typed, written or drawn notes with your recorded audio. You can get AudioNote for $5, with a free option also avaliable. If we have missed out your favorite back to school app, then do let us know in comments below!